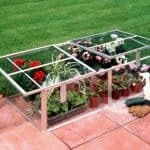 This is a sweet little cold frame or mini greenhouse. 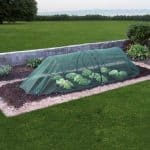 It could work well for you if you are very limited in space or want an additional greenhouse/cold frame. 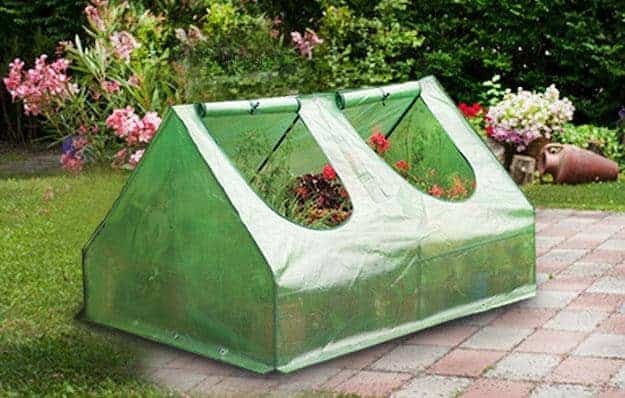 It is low cost and low maintenance and comes with a heavy duty cover with roll back panels allowing easy access and good plant and seedling ventilation. It is not available to buy online. 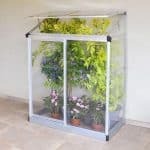 This is the greenhouse I always wanted. 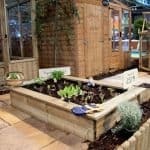 It is small, takes up less space, has additional cold frames and comes with a heavy duty cover. It is very easy to assemble and the instructions are very clear. I have been using this greenhouse for the past two years and it is still in a very good shape. The materials seem to have greater longevity than I expected. It also costs less for maintenance. 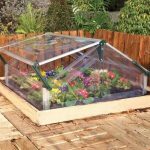 So if you are looking for a small, durable greenhouse with a reasonable price then you must try this Multi Cloche greenhouse. I am sure it won’t disappoint you.